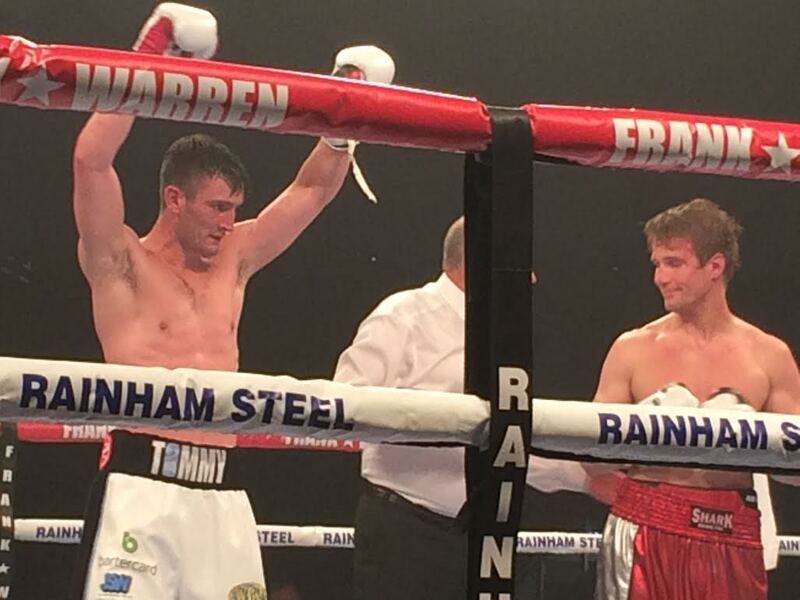 Tommy Langford (19-1, 6 KOs) will defend his British Middleweight Title against Jack Arnfield (25-2, 6 KOs) at the Manchester Arena, February 17. The thrilling domestic encounter will take place on the undercard of the World Boxing Super Series Super Middleweight Semi-Final clash between George Groves and Chris Eubank Jr.
Tommy Langford, the 28-year old current title holder from Birmingham, is making the first defence of his British crown, after first capturing the title when defeating Sam Sheedy in 2016. Arnfield, the 28-year old mandatory challenger from Blackpool, is making his second attempt to win the prestigious British title, after an unsuccessful challenge in 2015. Said Arnfield: “I’m over the moon to be boxing on this massive show. I always perform my best on the biggest stage. “I have sparred Tommy Langford before, so I know exactly what he’s going to bring. I’m not worried at all! “It’s every boxer’s dream to win the British title. It will be the biggest achievement of my career to capture the British title on Feb 17.